The Department of Film Production fosters filmmakers with the technical and creative capabilities to bring their narrative films to the world's stage. The Department of Film Production offers 7 course specializations: Directing, Screenwriting, Producing, Cinematography, Art Directing, Sound Design, and Editing. The Department of Film Production nurtures filmmakers with the creative and technical capabilities to work at the highest level on the international stage. There are seven course offerings: Directing, Screenwriting, Producing, Cinematography, Art Directing, Sound Design, and Editing. These specializations correspond with the functional divisions in commercial film productions and prepare students to join the industry after graduation. The curriculum is centered on film production experience, and students produce narrative works of varying lengths throughout the year. 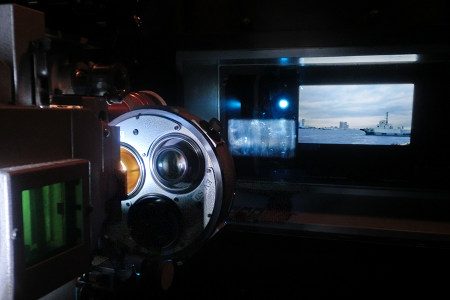 The university covers production costs, depending on the scale of the film. 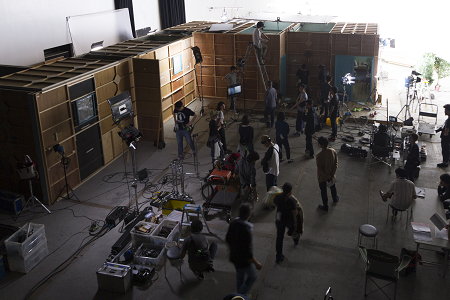 Students also have opportunities to work in the Japanese film industry and join co-productions and workshops with overseas institutions. The film industry is in the midst of a digital movie revolution that rivals the upheaval seen during the transition from silent movies to talkies. We have embraced this new era in filmmaking by introducing a digital cinema production system in which everything from shooting to screening is done digitally. In addition, we recognize the trend toward combining fields of expertise in todayʼs film production system. Our comprehensive and cross-disciplinary approach adapts to this new era in terms of both “hard” aspects such as equipment and “soft” aspects such as personnel and expertise. It wears the understanding and judgment and writers against movie sensuously. A film director has a definite influence on the production where film making is a joint effort of a specialist group. e students in the Directing Course broaden their understanding of movies through classes and seminars, developing judgment on-set through practice work, and acquiring a sense of how to reflect their individual character into the film production which cannot be self-produced. Born in 1955. He has been pursing creative activities since he began making 8mm movies as a university student, and has directed a total of 38 movies spanning different genres. 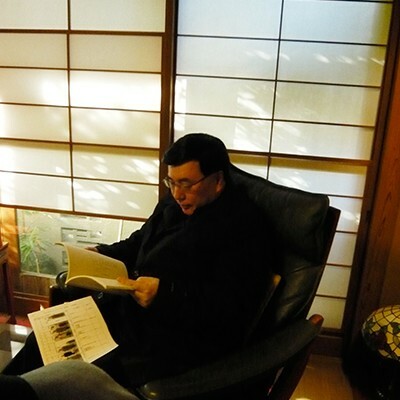 His most well-known titles include Cure, Charisma, and Bright Future, among others. Pulse won the International Federation of Film Critics Prize at the 54th Cannes Film Festival. 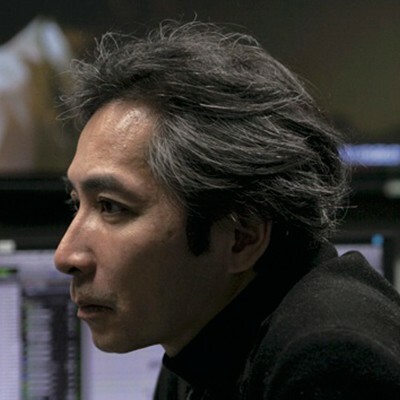 Tokyo Sonata won the Un Certain Regard Jury Prize at the 61st Cannes Film Festival. His works are highly acclaimed internationally, and have been introduced frequently in special programs around the world. 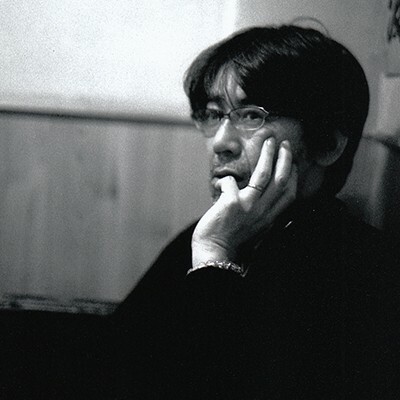 Additionally, he has written Eiga wa osoroshii (Movies Are Scary) and other books on film, and has novelized several movies. Born in 1960. He was involved in independent movies while attending Tokyo Zokei University. After graduating and gaining experience in producing TV documentaries, he directed 2/Duo in 1997 and won the NETPAC Award at the Rotterdam International Film Festival. He was awarded the FIPRESCI Prize in the Parallel Sections at Cannes Film Festival for M/Other. His other major works are H Story, Paris, je t'aime (omnibus), Un Couple Parfait which won the Special Prize of the Jury in Locarno International Film Festival, and Yuki & Nina. He is known for his particular method that uses uncompleted scripts. The responsibility of the producer is rather serious and the work encompasses many fields. In practical production, students handle all processes from various negotiations to management of production costs. Students gain understanding of how long a process, how many people are involved and how large a budget is needed during production through practical experience. Above all, every year during a "production project" which is completed in the first term of the second year, students execute the central functions involved in responsibilities from project development to the work being released to the public. Cameras and lighting are the areas which fully support the images in a movie. To bear this heavy responsibility, students not only acquire necessary knowledge and skills but also cultivate the ability to appreciate the beauty of images in film. The cooperation of multiple persons is indispensable for the operation of the highly specialized equipment and lighting apparatus. In practical work, students acquire particular team working skills for filming, lighting and communications as well as developing their individual skills. Born in 1950. After graduating from photography school, he entered Mifune Productions Co. as a contract employee. He became a freelance assistant in 1982, and filmed his first movie in 1987. 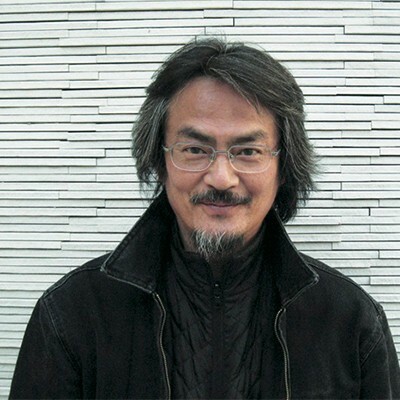 He took charge of 14 of Takeshi Kitano’ s movies such as Boiling Point (3-4 x jugatsu), A Scene at the Sea (Ano Natsu Ichiban Shizukana Umi), Sonatine, Kids Return, Zatoichi, and Outrage.Other major works he was involved in include Sora ga konnani aoi wakega nai directed by Akira Emoto, Battle Royale directed by Kinji Fukasaku, Go directed by Isao Yukisada, Blood Gets in Your Eyes (Ashurajo no Hitomi)directed by Yojiro Takita, Sea Without Exit (Deguchi no nai Umi) directed by Kyoshi Sasabe, Dear Doctor, and Dreams for Sale (Yume uru Futari) both directed by Miwa Nishikawa. 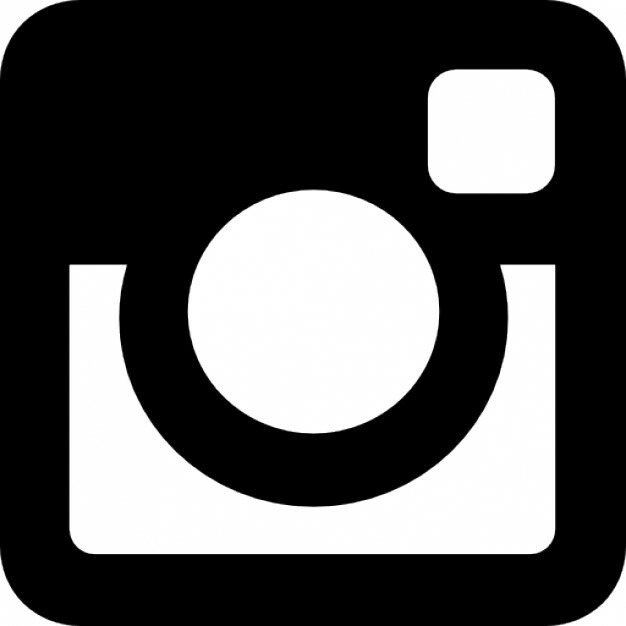 When it comes to furniture, clothing, and properties which appear in any movie,it is necessary to prepare items which not only match the setting of the time and place, but are appropriate for the atmosphere of the film. Therefore, it is necessary to possess a wide knowledge and sensibility. In the Art Directing Course, students study production tricks and acumen which go beyond mere technique through seminars and practical work. Born in 1957. After graduating from university, he worked in various professions and began to work on stage art and direction. Later, he became involved in numerous movies as a set designer. 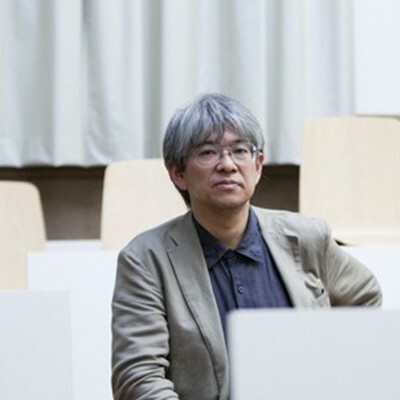 His works include Hirokazu Koreeda’s After Life, Nobody Knows, Hana yorimo naho, and Even If You Walk and Walk. Sogo Ishii’s Labyrinth of Dreams and Gojoe: Spirit War Chronicle,Yoichi Sai’s Doing Time and Blood and Bones, Kazuo Kuroki’s A Boy’s Summer in 1945, Kinji and Kenta Fukasaku’s Battle Royale II, Naomi Kawase’s The Mourning Forest, Satoshi Miki’s ADRIFT IN TOKYO, and Ryosuke Hashiguchi’s GURURI no koto. e specific course contents(common classes with another area are excluded) are as follows:1. In the seminar practice, we deepen knowledge of the acoustical instruments necessary from on-set recording to mixing work, and acquire the necessary techniques.2. In the lectures in seminar, we cultivate knowledge of image expression from the viewpoint of "sound design" and learn to construct our own "viewpoint of sound design."3. Repetitive practice by producing films. is course resides on these three main pillars. By practicing the above three items, students will acquire and master specific skills to become a sound professional, a sound artist, or as soundtrack composer and the like in the movie industry. e Sound Design Course also aspires to exist as a "free space" in which the students can use the sound mastering room and the recording materials, etc. as much as they wish in order to pursue original research. Put another way, this course wants to be a place of "practice" and "experiment" with sound design in film expression. His work on the sound live remix of a movie directed by Director Sogo Ishiiled to work on music and sounds of numerous works regardless of the media.His main movie works are Sogo Ishii's Angel Dust, Katsuhiro Ootomo's Memories episode 3 – ‘Cannon Fodder’ (Taiho no Machi), Shinji Aoyama's Eli,Eli, Lema Sabachtani?, Kunitoshi Manda's Seppun (The Kiss), Hiroshi Takahashi'sKyofu (The Sylvian Experiments), and Makoto Shinozaki's SHARING etc. He also performs with the group Dowser, an electronic music group. ow into a definite stream, using the rush films(dailies) which were shot according to the storyboard, things which accidentally appear in frame, and disordered images. Even as the film age changes to the digital age, what is essential to editing has not necessarily changed. To deeply analyze the material, to communicate effectively with others, to discover the subject of the work,and to find out whether specific elements connect or not; to satisfy all these components it is necessary to possess knowledge of not only movies but also the world outside of movies. Technique will follow through once one physically understands what should be expressed. Because the time has come when anyone can easily edit a digital film, the editor’ s position is becoming increasingly complicated. In an age when movie directors can edit for themselves, can a film possibly be edited by another with more precision than what the director intended? In the Editing Course we foster editors who can relate to the present movie environment, after experiencing reel film editing as well as learning the fundamental techniques for connecting film. Chair of the Department of Film Production, Graduate School of Film and New Media and a professor of the Editing Course. Started film making while attending Tokyo Zokei University. 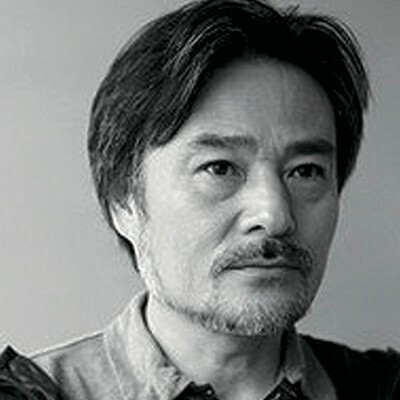 Made his feature-length film director debut with the silent movie Yumeko no daibouken in 1987. 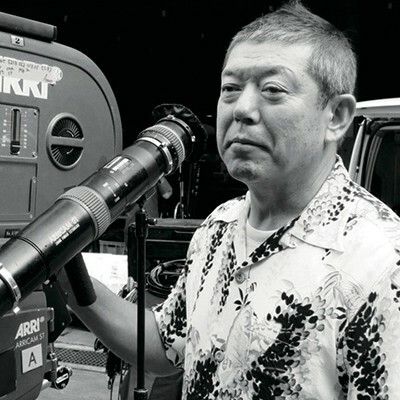 While working mainly as an editor and director, he writes numerous film-related reviews, and is now writing a series of new movie reviews in Kinema Jumpo magazine. 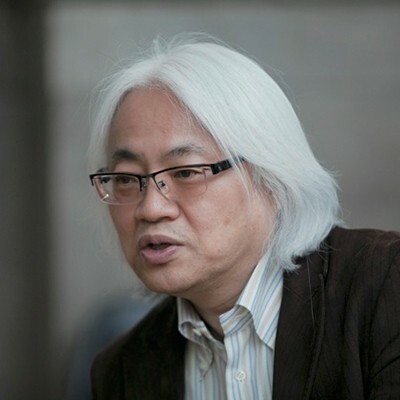 His major works include Overdrive(2004), Bach’ s Portrait (Bahha no shozo) (2010), and In a Lonely Planet (Kodokuna Wakusei) (2011). He also has newly completed Fancy Free (Jiyu na Fancy), and Eizono Hakken=Matsumoto Toshio no Jidai.